Brilliant location for Termini train station and the Metro. 10 minutes away from the Colosseum. Exceptional staff (Alan) who came to our rescue when the safe wouldn't open. All the facilities you could need. We stayed for few days for new years. There was no water in the entire apartment on New Year's Eve and New Year Day. We were provided 2 water bottles (!! ), 1,5 liter each, and the staff refused any refund. They said it happens a lot and its not their fault. There is no complimentary cleaning service regardless how long you stay, if you want the room cleaned it costs around 30-40 euro. We stayed 5 days and cleaned ourselves. The assistant downstairs was very nice. The location it was great. because near to the Termini Station, just 10 minutes by walk, supermarket just 5 min by walk and we founded walkable to many sites in Rome. The apartment was very nice, clean, fully furnished and modern. I have unit with the huge balcony with table for breskfast in the morning. The staff was very friendly and helpfull. And absolutely l want to be back again someday. Kitchen is good. Bathroom small shower. Beds OK. Floor to ceiling windows for winter afternoon sun. No noise. Clean. One block from Santa Maria Maggiore. Other then the smoke smell left behind by the previous occupants, the apartment was spacious and clean. Walking distance to roma termini and nearby supermarkets. Upon check in, Silvia was kind and explain to us the surroundings and how to get to the vatican and colosseum from the apartment. We stayed in the double apartment on the first floor. We were facing the street, which was a bit noisy early in the morning. 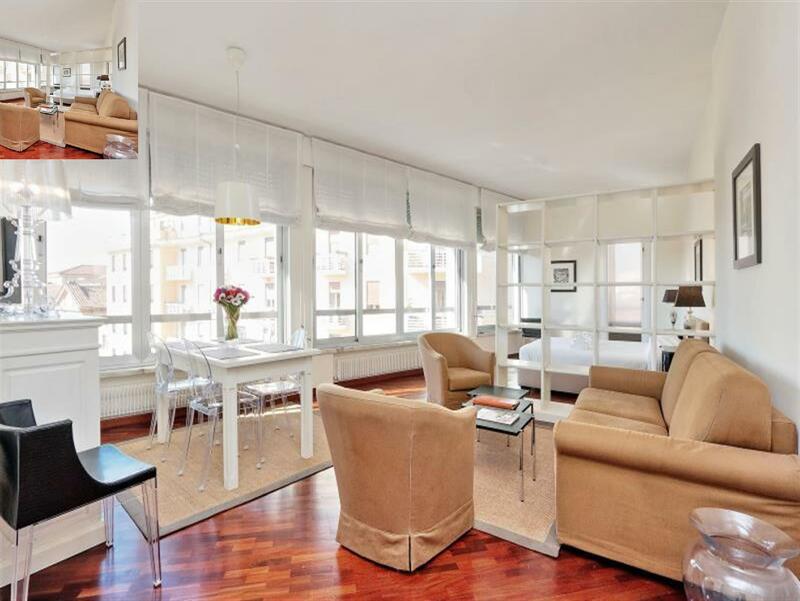 However, the apartment is great, well furnished and modern. The bed was very comfortable. The location was brilliant as apart from the Vatican City, we found it walkable to all the sites in Rome. There is a grocery shop & restaurants in the vicinity of the accomodation. Also underground and buses few minutes by walk. All in all, we felt the location was great, we were happy staying in this apartment and would probably stay there again. As others mentioned, it is not a hotel, there is no daily cleaning service, so you will be expected to empty your bins, do your bed etc. There was no kitchen towel in the kitchen to dry dishes with and a couple of rolls of toilet tissue, so pretty much, you'll have to make your own arrangments with these things. The kitchen has pans, pots, cutlery, expresso maker, toaster and a microwave. There is washing up liquid. No wine glass. The washing machine and self catering facilities were great. Location to Rome Termini was brilliant....not to far but also far enough away from the hustle and bustle! The apartment was everything we needed and more! When we arrived we were greeted by a member of staff who checked us in and gave us the keys straight away there was no waiting around or delays! He explained to us in detail about the landmarks and where everything was on a map and how to get there easily which was so useful! In the apartment itself it was a good size with a large double bed. There was a kitchen with a dish washer washing machine toaster microwave and oven! There was even a iron ironing board and hairdryer which was perfect! The location is spot on and around 10 mins walk from the colleseum! Only negatives for me is that the towels aren’t changed/the apartment isn’t cleaned when you are there and also that you can hear a lot of noise from outside and upstairs! This didn’t bother us as we are Deep sleepers but may annoy others! Would definitely stay here again -& recommenced to others! We always book accimodation with a gym that are central to visitor attractions ... these were perfect. 2 min walk from termini station, Mary maggiore basilica and all the tour bus routes. The staff couldn’t do enough for us and made sure we could operate everything, where to locate things before leaving us to it. The owner Silva also emailed on day before arrival to arrange someone to be there to meet us which they were. The apartments were spotless and very well equipped. The gym was better than some hotel gyms we have been to! I only have good things to say about these apartments and highly recommend. The place was nice and centrally locates, but the facilities Filipino supervisor Chris is extremely rude and arrogant that prompted me lodges a formal complaint. We found the shower drain was blocked and toilet flush broken. When we contacted the duty manager for a change of room, we were offered a downgrade to a studio apartment that we declined. Later a handyman was brought in, who with Chris unsuccessfully attempted to repair the flush and made a complete mess of the bathroom. Upon requesting to clean the mess in the bathroom that they created during repair, Chris demanded extra money for cleaning after them. At this point I lost my patience with him and put him into his place. Chris also charged us €25 for late check in but was unable to provide us receipt for it. My suggestion to the management will be to replace Chris with someone who is customer centric. Generally, a good appartment in a good location (here: approx. 15 min by walk to the Colosseum). Equipment in the studio more ore less fine; missing are "small things" e.g. a kitchen is available but no cleaning material for the dish washer. 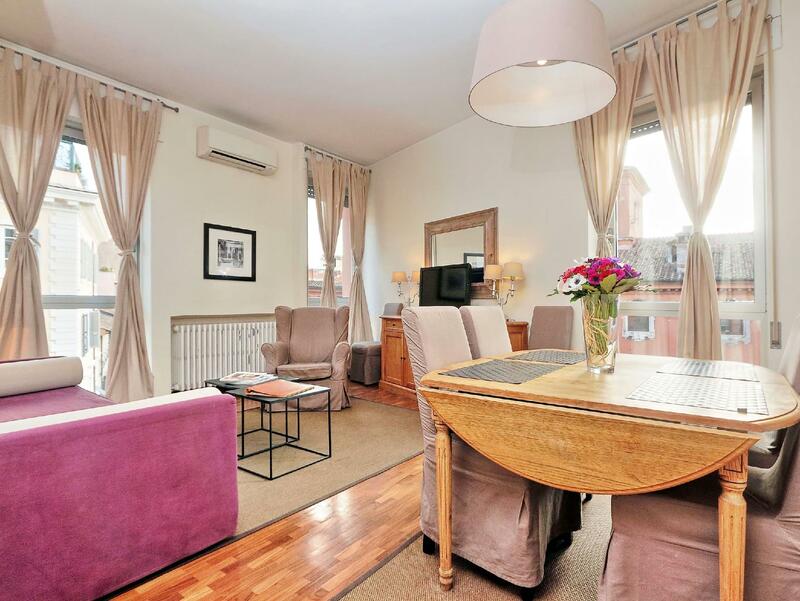 Location in walking distance to subway stations Termini and Cavour. From level 4 and higher you can have a nice view. Large fully equipped room with high ceiling, in good location only few minutes walk to restaurants, shops, Gelateria, and metro. 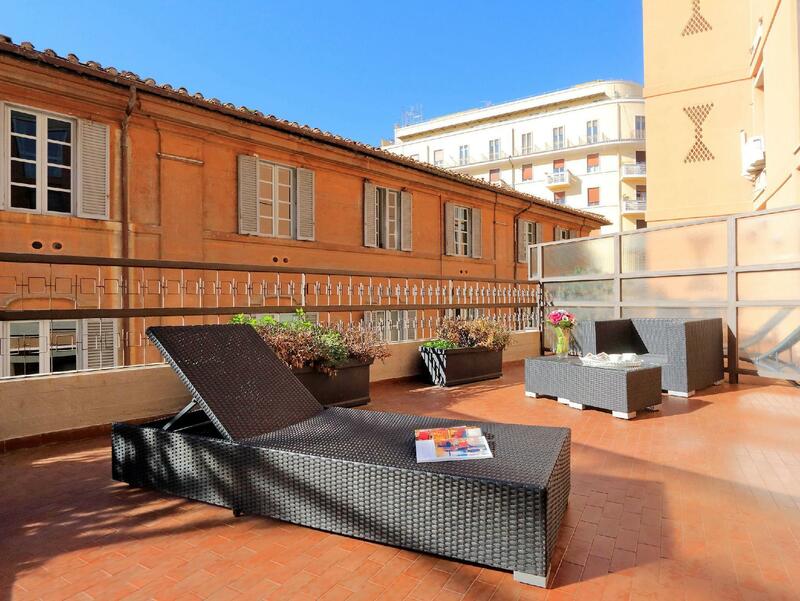 Residenza dell'Olmata was conveniently located well-equipped apartment accommodation in Central Rome. Staff were helpful and friendly. Very little traffic so quiet at night. Cons: Electricity turns off all the time, its impossible to cook a meal as well gen with 2 hobs on and a kettle....air-con and hot water switch off and all chargers off the system still cuts out! Very Frustrating. Air-con is weak even at lowest temperatures. Pros: Good location with buses a few minutes walk away (though expect to be waiting awhile for many more Buses at these stops...up to 15/20mins) or walk a few minutes more to get the more regular services on Via Nazionale. Metro is about 10 minutes too. Friendly staff who were happy to help....Sylvia is really lovely Well equipped apartment with anything you will need for your stay in Rome. 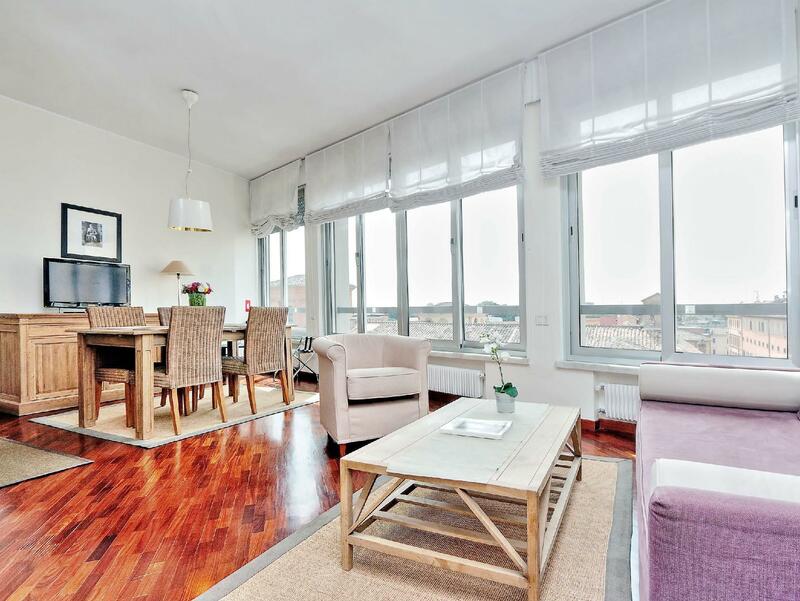 Pluses: 10-15 minute walk to the Coliseum, termini train station, 5-10 minutes to Metro station, plenty of places to eat near by, 2 grocery stores 2-5 minutes walk, bus stop and St. Maria Maggiori church are 2 minutes away. The pullout sofa was great. Everyone at the reception was great and very helpful. Free Wi-Fi that actually works well. Minuses: the small Irish pub downstairs could be a bit loud at times. All in all, we were very pleased. They even ordered a Taxi for us that waited in the airport.